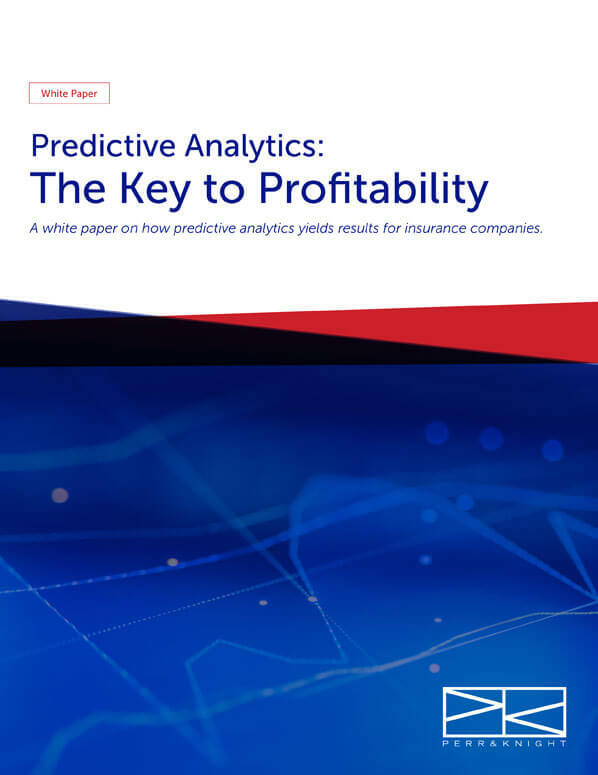 A white paper on how predictive analytics yields results for insurance companies. As an insurance company, you have likely based estimates and decisions on analyzing data to help predict future events. However, with increasingly available data and faster processing power, more sophisticated algorithms designed expressly for the insurance industry can be used to augment data analytics and speed up processes. Complete the form below to download your complimentary copy of Predictive Analytics: The Key to Profitability.